Hillary Clinton and, also, the Clintons as a team make me mad. They get what they want and others deal with the damage. In 1992 Bill Clinton was elected President. This brought relief among Democrats after 12 years of Reagan and the first Bush. 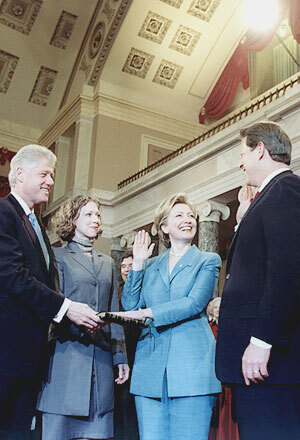 President Clinton put Mrs. Clinton in charge of health care reform. 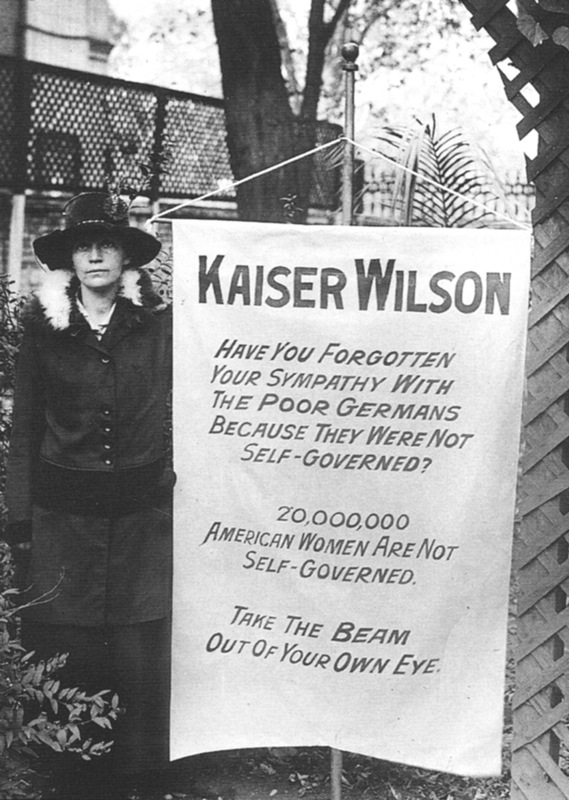 She did not get the job done despite the fact Democrats controlled both branches of Congress at the time. Because of this and other political missteps early in the Clinton Presidency, Republicans in 1994 won control of both Houses of Congress for the first time since the election of 1952. It would not be until 2006 that Democrats would win back full control of Congress. Republicans did an immense amount of harm to the nation in those 12 years. In 1996, President Clinton was re-elected. In his second term, Mr. Clinton decided to engage in a sexual relationship with Monica Lewinsky. Much of what Mr. Clinton might have been able to accomplish in the second term, even with the Republican Congress that was in large part his doing, was lost because of this avoidable scandal. In 2000, Al Gore was uncertain how to make use of President Clinton politically because of the scandal. This cost Mr. Gore votes in one of the closest Presidential elections in American history. America got 8 years of George W. Bush. Hillary Clinton got a Senate seat from New York. Now we are looking at the prospect of Mrs. Clinton winning the Democratic Presidential nomination and, possibly, facing John McCain. Given the history and Mr. McCain’s strengths, I’m concerned Mrs. Clinton will take the nomination and lose the General Election. Mrs. Clinton is just the candidate who can mobilize Republicans to support even the slightly more moderate by Republican standards—but still conservative—Mr. McCain. I’ve said before that if Mrs. Clinton is the nominee, I’ll vote for her. I feel our problems are so great that we can’t have another Republican President. I want to give our political system one more chance to prove it is up to the challenge of climate change and the global economy. I’ll vote for Mrs. Clinton, but it does not have to come to that. The Clintons get what they want and others get the damage. Giving Mrs. Clinton the nomination and looking at the prospect of yet another Republican Presidency is a chance we can easily avoid taking by supporting Barack Obama for President. In his Sunday column from January 27, Frank Rich of The New York Times talks about the risks for Democrats in nominating the Hillary and Bill team. Here is the full column. In a McCain vs. Billary race, the Democrats will sacrifice the most highly desired commodity by the entire electorate, change; the party will be mired in déjà 1990s all over again. Mrs. Clinton’s spiel about being “tested” by her “35 years of experience” won’t fly either. The moment she attempts it, Mr. McCain will run an ad about how he was being tested when those 35 years began, in 1973. It was that spring when he emerged from five-plus years of incarceration at the Hanoi Hilton while Billary was still bivouacked at Yale Law School. And can Mrs. Clinton presume to sell herself as best equipped to be commander in chief “on Day One” when opposing an actual commander and war hero? I don’t think so. We can do better than Hillary Clinton. Click here for Barack Obama for President. I am sad to report the passing of my friend Johnny Castille. Johnny was proud of his longtime membership in the United Auto Workers as a General Motors employee in Indiana. Johnny had also fought in Vietnam. He was a member of St. Anne’s Catholic Church in Houston. Johnny was one of the first friends I made after I moved to Houston in 1998. Waiting for his full retirement benefits to kick in after leaving GM, Johnny took a job as a bagger at a local supermarket. He and I struck up a friendship in the once or twice a week I would see him at the store. I’m sorry to say that after Johnny’s health no longer allowed him to work at the store, I did not do a good job in keeping in touch. He left the store within the last six months or so. I made one effort to call him at home. Johnny did not have a cellphone or a computer or an answering machine. I just should have kept calling until I reached him. Below is a poem written by a “factory girl” of Lowell, Massachusetts. The anonymous author of this poem was an Irish immigrant of the 19th century working in a textile mill in Lowell. Above is a picture of abandoned mills in Lowell. Here is a link to the American Textile History Museum in Lowell. 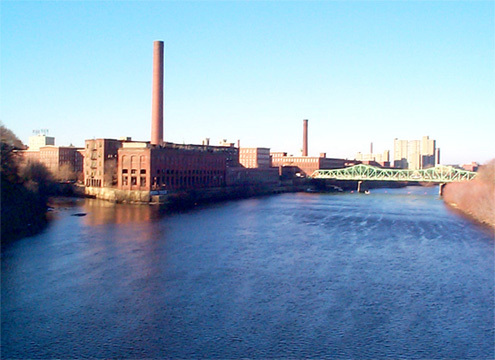 Here is the Lowell National Historical Park which features Lowell’s mill history. Here is a history of Irish immigration to the United States. And all my friends behind. Than of my native dell. Texas Liberal live blogging of Super Tuesday results is up and running. The California Presidential nominating primary, which will be held for 2008 on February 5, has a history that goes back to the Progressive Era. The first California primary was held in 1912. The Presidential nominating primary, however regressive it may seem at times today, was a Progressive reform. It was step away from the smoke-filled rooms. California was a big part of the Progressive Era. Progressive Bull Moose candidate Teddy Roosevelt carried California in the 1912 general election and the great Progressive Hiram Johnson was Governor of California from 1911 until 1917 and Senator from 1917 until his death in 1945. Johnson was Teddy Roosevelt’s running mate in 1912. 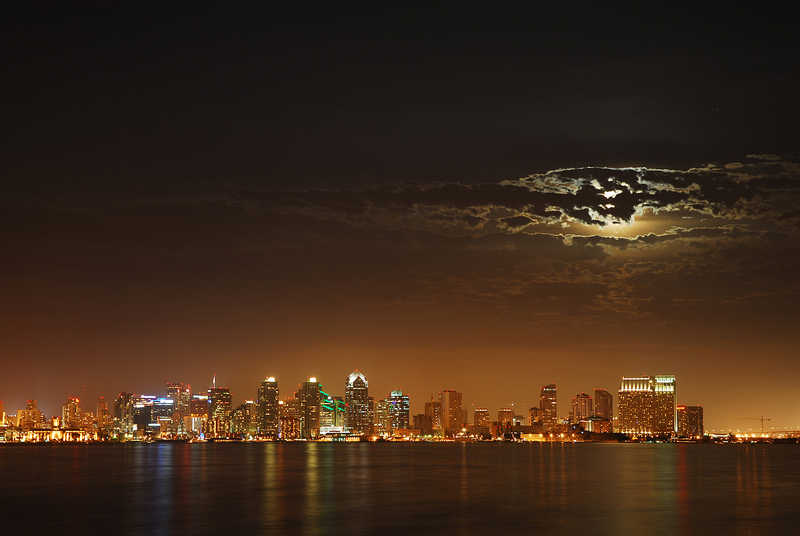 Over 36 million people live in California. John Kerry won California 54%-44% in 2004. In that first 1912 primary, Roosevelt defeated incumbent President William Howard Taft of Ohio among Republicans by a 2-1 margin. That gives you a sense of where the Republican electorate of California stood at that point in time. For Democrats, House Speaker Champ Clark of Missouri beat Woodrow Wilson of New Jersey 72%-28%. 1912 was long before primaries had the decisive role they do today. It would be 1972 and the years after 1972 that primaries took on the role they play today. In 1920, California Senator Johnson took the Republican primary over Herbert Hoover. Hoover also has California connections as a Stanford graduate. Senator Johnson objected to Hoover’s position in favor of U.S. entry into the League of Nations and worked hard to deny Hoover the nomination. Senator Warren Harding of Ohio won the 1920 nomination at a deadlocked Republican convention. Senator Johnson was asked to be Harding’s running mate. He said no. Harding died in 1923 and Calvin Coolidge of Massachusetts became President. Incumbent President Coolidge beat Senator Johnson in the California republican primary of 1924. The Democratic primary of 1932 was of some note. Reflecting the Southern origins of many California Democrats, House Speaker John Nance Garner of Texas won the primary over New Yorker’s Al Smith, the 1928 Democratic nominee and Franklin D. Roosevelt. Very different from the results you would get today. Roosevelt selected Garner as his first of his three Vice Presidents. In 1936, Democratic voters gave the novelist Upton Sinclair 11% of the vote against FDR. Mr. Sinclair had run a left-wing campaign for governor in 1934 and almost won. Mr. Sinclair is most famous for writing The Jungle. In 1936, 1948 and 1952, Earl Warren was the winner of the California Republican primary. Try to imagine Mr. Warren as a Republican today! The future liberal Chief Justice was Governor of California from 1943 until 1953, He was also the running mate of Thomas E. Dewey of New York in 1948. Warren never won the Republican nomination. Though arguably he got the only job better than President. For all this time and beyond—from 1912 until 1992— the California primary was held late in the process. Often favorite son candidates, such as Mr. Warren, were the winners. A favorite son candidate is a statewide figure who runs in the primary and then passes on his delegates at the convention in exchange for an office or for influence. The 1964 Republican primary brought a clear test of ideological strength within the party. Much like in 1912. This time though, the right-wing won. Conservative Senator Barry Goldwater of Arizona defeated Governor Nelson Rockefeller of New York. Rockefeller was a liberal Republican and the party was badly split in the early 60’s between these competing wings of the party. The future was with the conservatives as the 1966 election of Ronald Reagan as Governor of California established. It was on the night of his California 1968 Democratic primary win that Senator Robert Kennedy of New York was assassinated. The 1972 California democratic primary was significant. Senator George McGovern of South Dakota defeated former Vice President Humbert Humphrey by 44%-39%. Mr. McGovern’s win gained him delegates and momentum that made a difference in taking the nomination. In 1976, home state candidate Ronald Reagan won a big victory over President Gerald Ford. But the 65%-35% win was not enough for Reagan to win the nomination. California Democrats in 1980 voted for a slate of delegates committed to liberal Ted Kennedy of Massachusetts over incumbent President Jimmy Carter of Georgia. This provided a sense of what ideological tint held sway among California Democrats. In 1992, California was the only one of 7 states voting on June 2 that came close to rejecting Bill Clinton of Arkansas. Former California Governor Jerry Brown, fighting to the end, lost 45%–40%. Mr Clinton had pretty much wrapped up the nomination before California. In 1996, California finally moved its’ primary up to March. ( Please click here for a Texas Liberal history of Super Tuesday Primary Day.) Though all voters did was ratify the foregone conclusions of Bob Dole of Kansas and President Clinton. 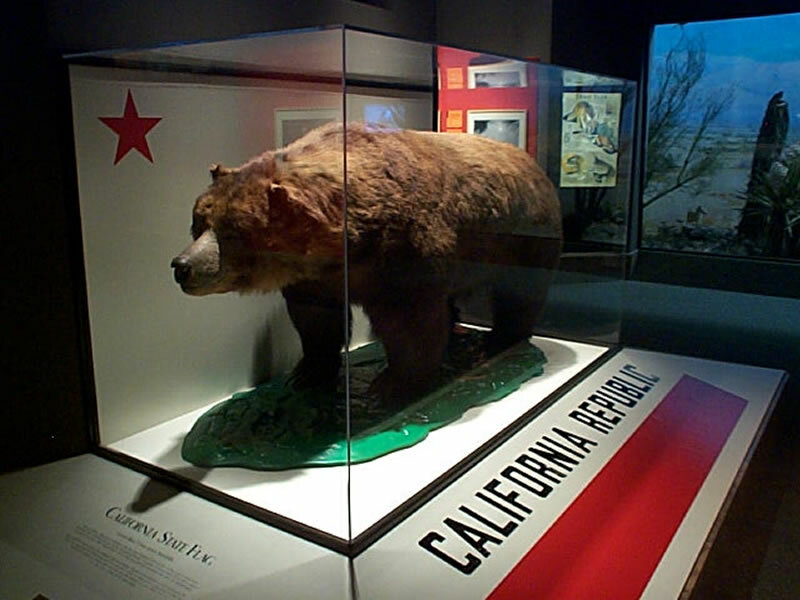 California moved up its primary to March 7 for 2000 and March 2 in 2004. In neither case did the California result make a difference. I’m sending $30 to the TexBlog Pac. 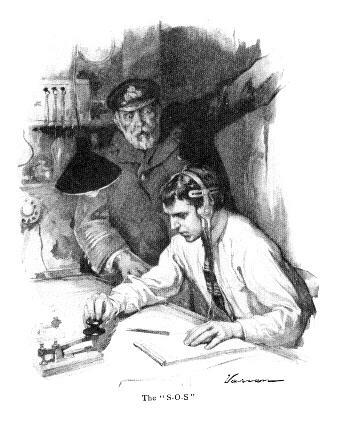 No–You can’t send money by Morse Code. I figured that out after a 75 minute conversation with Sprint. They put me on hold 4 times! Why am I sending $30 to the TexBlog Pac? It’s because of my close personal relationships with members of the TexBlog Pac board. Oh no, hold on—I’m confused about that as well. What the hell—If Sadat could go to Israel, a lowly blogger like myself can send those folks $30. I’m sending this money because I agree with the stated goal of the TexBlog Pac of winning control of the Texas House of Representatives, and my guess is the people involved are competent to put money into the correct races. Though it would be nice to see a woman on the board of directors. That would be more fully inclusive and representative of Texas progressive and liberal voters. I’m told by my sources that a woman board member is on the way! This had been in the works for sometime now. The TexBlog Pac is ahead of the curve. Texas Democrats must gain six seats in 2008 to reach the goal of winning the House. I’m also looking forward to the Texas Democratic Party running a brutally efficient targeted campaign to help win back the Texas House. No…Wait…I’m confused again. I guess I’ve not had any caffeine this morning. Or is it the three Long Island Iced Teas I had for breakfast? Here is the link to the Texas Democratic Party. Check out the home page–You’ll see it features the “Latest News” all the way up to—and including— January 3. I’ve updated my blog 30 times since that date. Hey–I’m sure those folks are busy. The “GOP Watch” feature is updated through December 19. Maybe Texas Republicans have not done anything bad since December 19. I’ll be dropping my Blog Pac donation in the mail today. Below is a picture of my post office. 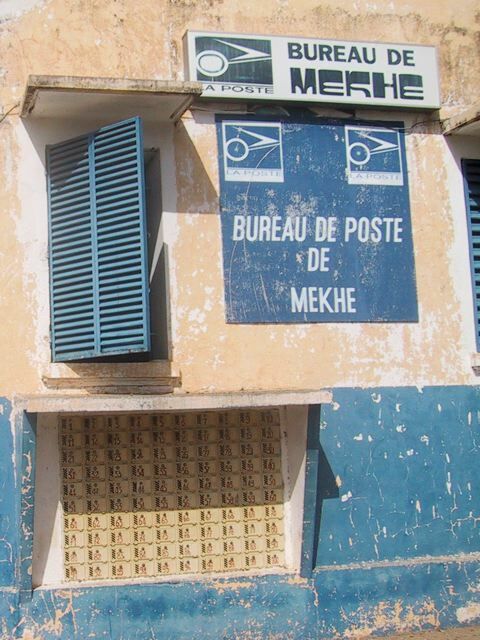 Yes, you’re right—That is indeed what a post office looks like in Senegal. I’ve been blogging from Senegal all this time. I’ve recently been listening to Aaron Copland’s Appalachian Spring. I think this American classic, which lasts around 25 minutes, should be the new national anthem. For one thing, unlike our present national anthem, the song has no mention of war. For another thing , if we were all to silently reflect and consider our nation and our lives for 25 minutes each time we listened to our new national anthem, maybe we would be a better country. Though I admit, it would be an act of discipline for some not to focus on their anger and disappointments for those 25 minutes. Still, I think we could all use some more time to think things out. I think these would be excellent lyrics for our national anthem. 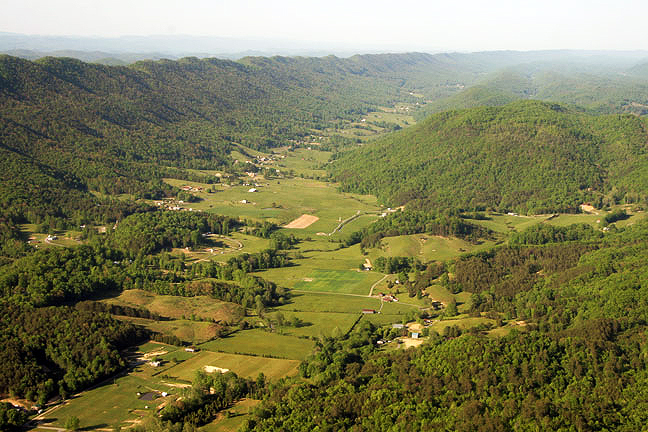 Here is a link to the Appalachian Regional Commission. Here is a link to the Urban Appalachian Council of Greater Cincinnati. Thanks to everybody who linked to Texas Liberal this week or who added the blog to their blogroll. Rakoto’s Rants: The Malagasy Dwarf Hippo linked to my Martin Luther King Reading & Reference List. This blog is in Madagascar! Can you beat that? I hope these folks visit Houston someday so I can show them around town. The Malagasy Dwarf Hippo is now extinct. 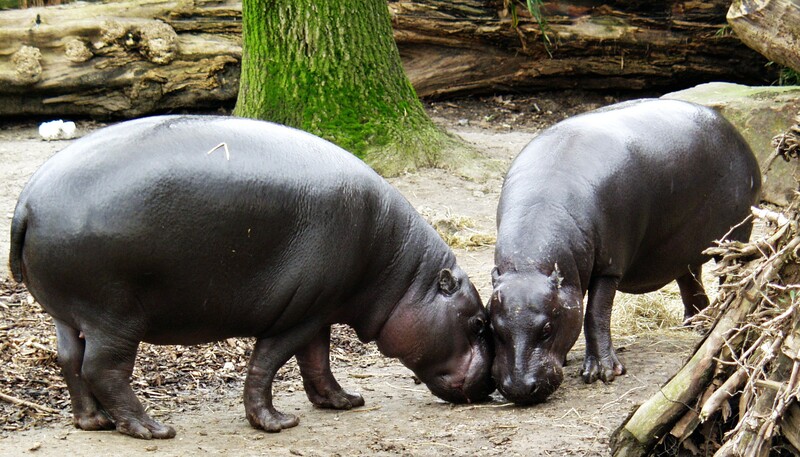 Though there are two living Pygmy Hippo species in the world. Unusual Music’s Journal also linked to the King post. georigaism linked to my post about the self-destructing palm tree. Thanks to both these fellow-bloggers. My friend Diane in Maryland linked to a post about Bush, Grant & Jefferson from her blog Bean and Bee. Thank you Diane. Always excellent to hear from you. The very good people at Panhandle Truth Squad in Amarillo linked to my post asking why Obama does not say it would be okay if he really were a Muslim. This week I added the Collin County Observer to my blogroll. These Texas bloggers seem serious about what they are doing and no doubt the area in which they live merits the scrutiny. I also added the Bay of Fundy Blog. This blogger lives near the Bay of Fundy and sees the big tides roll in and out. It sounds great. Her latest post is about an odd looking lobster. Thanks to everybody who reads Texas Liberal. The Super Tuesday Primary Day has a relatively modern history. The first Super Tuesday took place in 1988. Super Tuesday resulted from concerns about the nominating process before 1988, and has evolved—if we take the word “evolve” to not mean the same as “improve”—from smaller regional primaries held in the 1970’s and 80’s. And whatever it’s process-driven roots, the real purpose has been to enhance the influence of the states taking part in Super Tuesday. 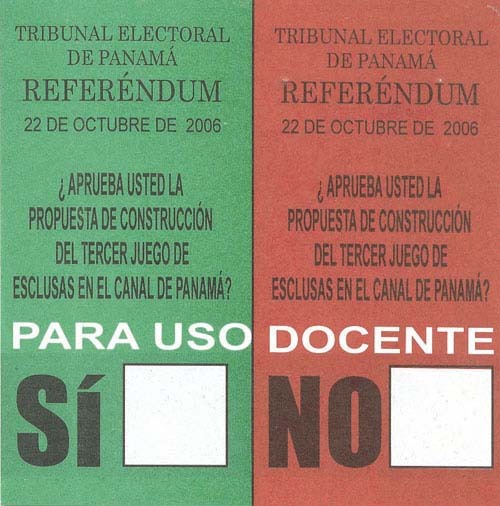 (Look at all the choices the people have in whatever election is represented on the ballot sheet below. Still, having many choices does not mean folks have true alternatives). In short, there is a good measure of silliness and state-against-state competition in the Super Tuesday concept. Objections to the way the nominating process took place before Super Tuesday were the long gap between New Hampshire and other primaries in which candidates fell out of the daily news, the expense of the nominating campaign, the physical strain on candidates, and the length of the campaign with the primaries extending into May and June. Objections to the current process are that the nomination is locked up before voters know the candidates, the money it requires run in many states at once and –of course–that the campaign season is so long. In 1980 and ’84, Alabama, Georgia and Florida voted on the same day in the second week of March. That smaller regional primary day is the foundation of the current Super Tuesday. On March 8, 1988 16 states, 10 from the south, all held primaries. Voila! Super Tuesday was born. In 1992, Super Tuesday was termed “March Madness” with an 8 state primary on March 3 and an increasing number of states holding primaries in March. 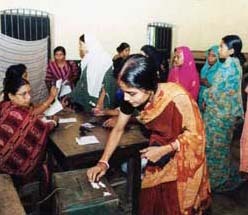 In 2000, 11 states held primaries on March 7. This was the earliest date allowed by Democrats for states other than Iowa or New Hampshire to hold a primary or caucus. On March 14, another big Southern-dominated primary day was held. 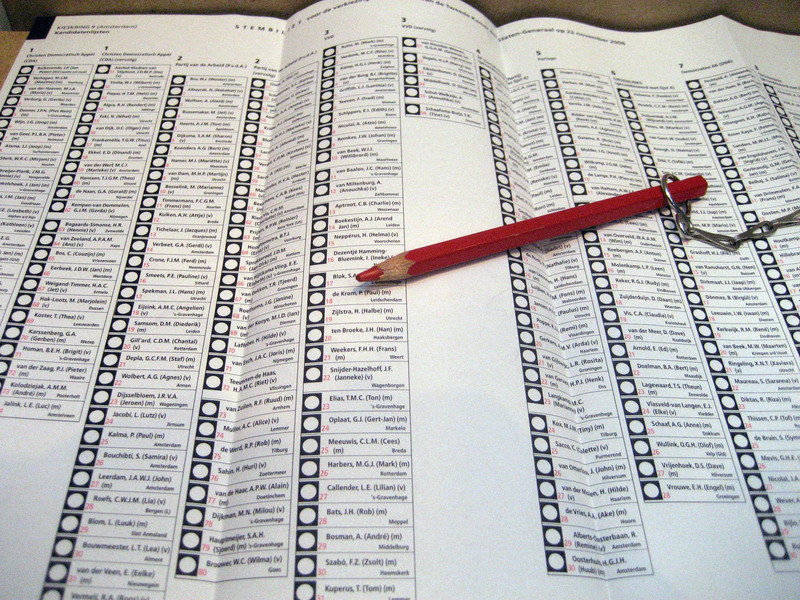 In 2004, a national Super Tuesday was held with California, New York, Massachusetts, Ohio, Georgia and five other states voting on the first Tuesday in March. For 2008 the dam has broken. 24 states will be holding a primary or caucus on the very early date of February 5. In each election cycle Super Tuesday, or one of its close cousins, has basically ended the race. For Republicans, George H.W. Bush, Bob Dole and George W. Bush wrapped it up on the big day(s). The same has been true for Democrats Mike Dukakis, Bill Clinton, Al Gore and John Kerry. 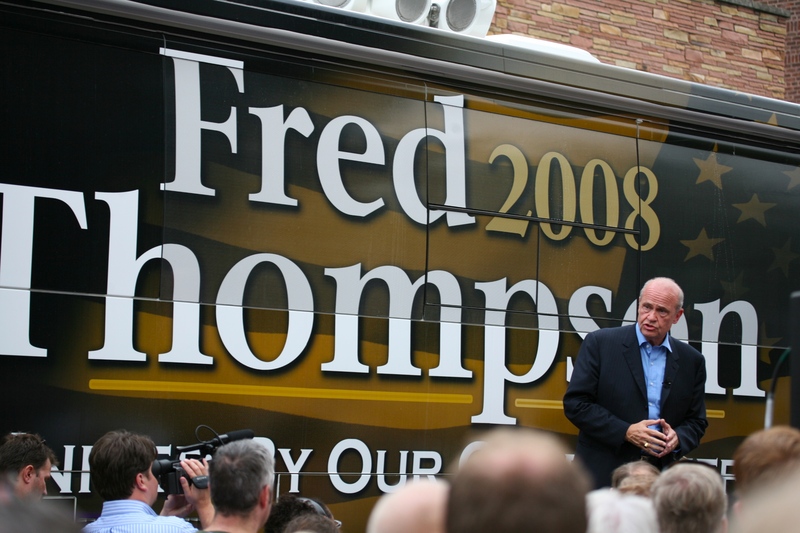 Will the nomination fight in at least one of the parties survive past Super Tuesday 2008? For the sake of blog traffic, I very much hope so. A rumor is going around that Senator Barack Obama is a Muslim. 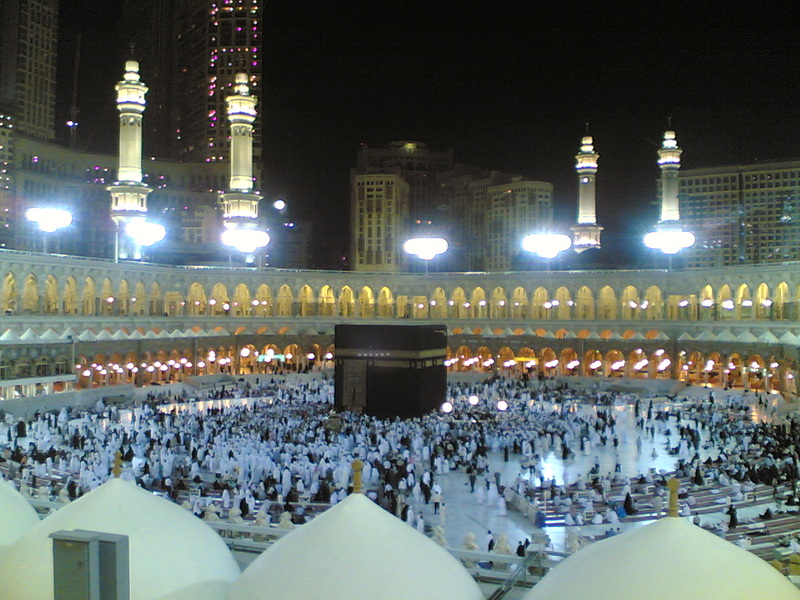 Being Islamic is good enough for hundreds of millions of people. And as Senator Obama, who is the favored candidate of this blog, makes an effort to win black voters in South Carolina, he uses a word–bamboozle– that Malcolm X had been know to use. Mr. Obama is paraphrasing Malcolm X to deny he is Muslim, and not saying anything, as far as I know, about how it would make no difference if he were in fact Islamic. This does not seem like leadership from Senator Obama. The New York Times reports that relatively small amounts of bluefin tuna sushi consumption can leave you with a lot of mercury in your body. The same may well apply to other types of sushi as well. All we ever hear about are the downsides of mercury. What about the basic fairness of hearing about what is good and positive about mercury? Mercury has no biological role even though it is present in every living thing. 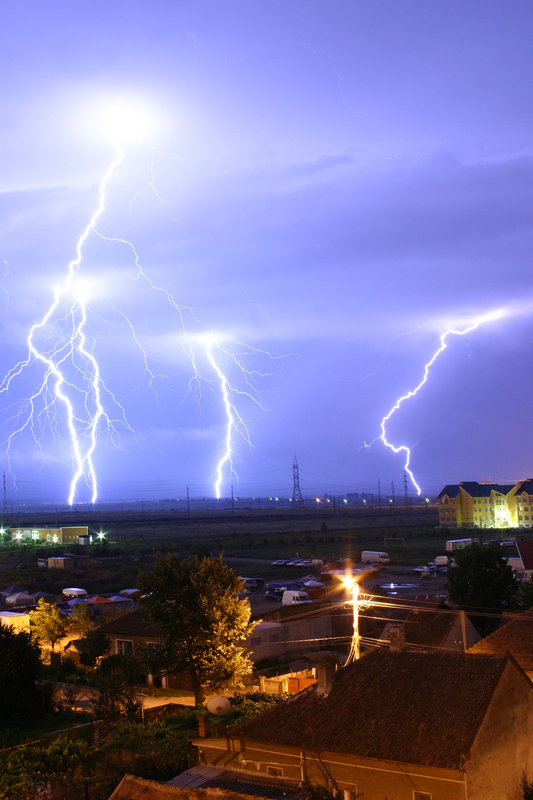 It is widespread because it is present in the atmosphere due to it’s volatility, both as the metal and as the organomercury compounds which are formed by micro-organisms. Mercury poisoning was once relatively common but is now rare hanks to…health ands safety regulations and the phasing out of many of it’s uses. All mercury compounds are toxic…(it) can pass the blood-brain barrier and move across the placenta, with the result that mercury affects the central nervous system and cause fetal deformities. Notice use of the word “can.” Mercury CAN cause fetal deformities. It’s not a given. 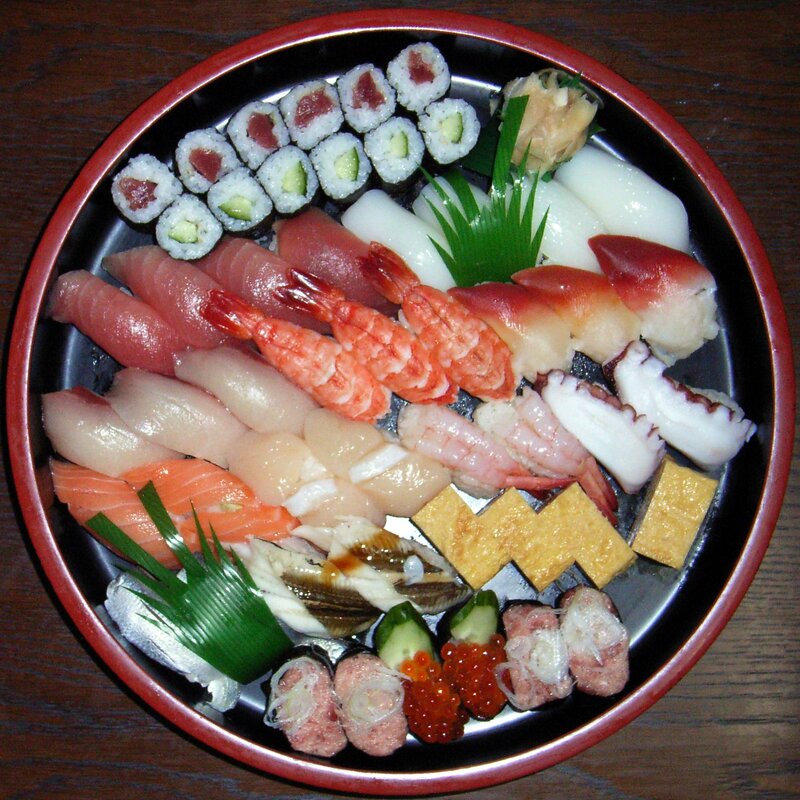 Simply enjoy your sushi responsibly and as a matter of personal choice. …When syphilis became a problem in Europe in the fifteenth-century, the only known cure was (mercury)…intense salivation was known as a side-effect…the “cure” as it was known was risky and almost as feared as the disease itself. Mercury created jobs until the do-gooders came along. Some mercury is still used to treat seed corn to make it resistant to fungal disease…By the 1960’s the practice had become widespread…Sadly this form of crop protection led to several mass-poisonings in developing countries. Mercury was quite helpful up until the villagers made the choice to eat the corn. They just did not know when to stop. Today’s well-educated urban sushi consumers know when to stop, and they also know that for people like themselves there are no limits in this world. Here is a list of ecologically sound fish to eat and depleted species to avoid eating. It comes from the Monterrey Bay Aquarium. 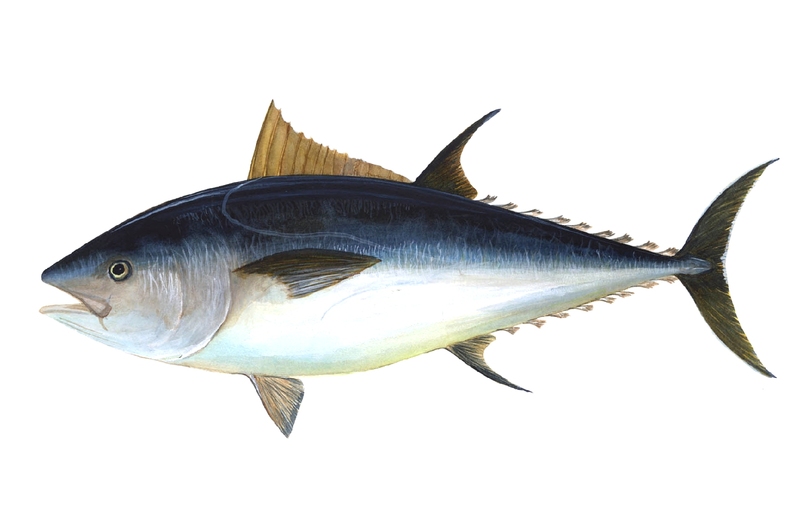 Below is a drawing of a bluefin tuna. Here are facts about this fish. While I have not been to a gay wedding, I have been to a wedding in which one of the participants was gay. This was in Cincinnati, Ohio somewhere between 15 and 20 years ago. Gay people can get married—even in Cincinnati—as long as they marry someone of the opposite gender. Gay marriage is an excellent idea because people should have the right to marry the person of legal age that they choose to marry. Life is brutal and short. Why create barriers between people? The groom was gay at the wedding I was at in Cincinnati. An issue behind the wedding was, as I understood it, getting health insurance for one of the married couple. Though they were close friends as well. I was not formally invited to this ceremony. I just happened to run into the bride the day before the wedding and she said I should come. I knew her from around. If you’re lucky, you had a point in your life when you could walk down a city street and know people. I guess I’m too old for that at 40–or maybe Houston is an inhuman place where people drive around a lot– but it sure was fun in my early 20’s. I think anybody at all could have come to that wedding. That’s good. People who include are good. People who exclude are jerks. The couple was married in the above-pictured “Temple of Love” in Cincinnati’s Mt. Storm Park. The flower girls were men in dresses. They handed out flowers and kissed guests on the cheek. Now that’s good clean fun! Later that night there was a reception in a loft in Cincinnati’s Over-The-Rhine neighborhood. I ate squid and drank wine. I remember eating a lot of squid. I got married in a Las Vegas hotel by a guy in a purple robe. For the reception we went bowling. Please click here for the excellent photo of my wife in her wedding dress holding a bowling ball. My wife is the best person in the world. People should be able to have the relationships they want. People can define family any way they wish. Any type of wedding ceremony is good. People can express their feelings in whatever way suits them. 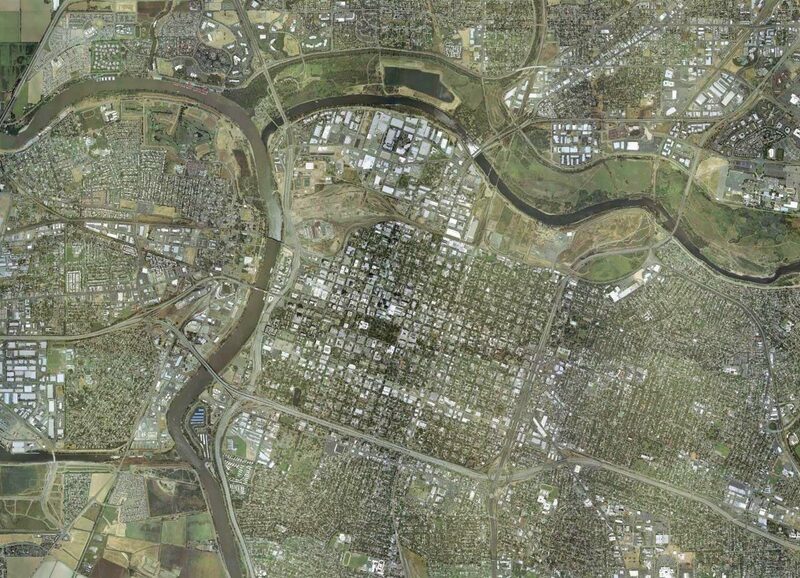 Below is a picture of Over-The-Rhine in Cincinnati. As you can tell, it is an older community. There is nothing of merit about the persistent poverty in this neighborhood. Yet I would not trust the forces of gentrification as far as I could toss them. I won’t pretend I have the solution to making Over-The-Rhine a better place. On Martin Luther King Day I attended the afternoon M.L.K Grande Parade in Houston that marched up and down Allen Parkway. There is another parade that this year marched in the morning in Downtown Houston. There are two parades because the organizers of the parades are not mature enough to work out a longstanding dispute. The marchers and the crowd at the King parade were people who love freedom and who love the Reverend Doctor Martin Luther King. Marchers came from as far away as Beaumont and Corpus Christi. 1. It would be better if more white people and more Asian and Hispanic people would attend the King parade. 2. Parade organizers should reach out to majority white schools in the Houston-area to send marching bands. Majority white schools in the Houston-area should contact parade organizers about sending marching bands. 3. When floats and marchers from local TV and radio stations pass by in the parade, the crowd should berate these people for the poor and mind-rotting programming that is broadcast. Houston Channel CW 39 had a float promoting the virtues of education. Here is a link to the programming schedule on the CW 39. The crowd should have yanked that float off the street. 4. I missed the first few minutes of the parade so maybe I have this wrong, but I did not see any marchers representing the Harris County Democratic Party. 5. This is my most important point–Martin Luther King would have wanted honor roll students and debate club students marching instead of ROTC kids. Every year there are many ROTC marchers twirling around fake rifles at the King parade. This is not consistent with the life and work of Martin Luther King. If, as one example among many schools in the parade, the Barbara Jordan High School for Careers felt it just had to send an ROTC contingent, could they have not also sent the honor roll or straight-A students as well? Is what I saw at the parade what the great Congresswoman Barbara Jordan would have wanted? It would just take the application of a little bit of imagination for these schools to honor Dr. King more appropriately. Please click here for a Martin Luther King Reading & Reference list. The Florida Presidential primary has a long history. In 2008, it is a big contest for Republicans with all the major candidates in the mix for the first time in the nominating season. For Democrats, a silly dispute over the timing of the vote means there will be no meaningful Democratic primary competition in the fourth-largest state. Here is the U.S Census Florida quick facts page. Just over 18 million people live in Florida. Governor Murray was just the piece of work he appears to be in the photo. The next contested Florida primary was in 1952. This was again on the Democratic side. Senator Richard Russell of Georgia won 55% of the vote against Senator Estes Kefauver of Tennessee. Neither of these men would win the nomination. The honor of losing to General Eisenhower would go to Governor Adlai Stevenson of Illinois with Mr. Kefauver as his running mate. Richard Russell (photo below) is seen by some as a “Giant of the Senate.” What he really was though was a segregationist who held up progress and freedom for millions of Americans. In 1956, Mr. Stevenson contested Florida and beat Mr. Kefauver 52-48. In 1960, “favorite son” candidate Senator George Smathers was the only name on the Democratic Florida ballot. A “favorite son” candidate is one favored almost exclusively in his or her own state. That candidate will then often have a great say in how that state’s delegates will vote at the convention. In 1960, Florida’s first-ballot delegates went to Smathers’ fellow Southerner Lyndon Johnson of Texas. Also interesting in 1964 was the respective vote totals in the two party primaries. An unchallenged Lyndon Johnson won 393,339 votes.The Republican primary drew 100,704 votes. This long-standing Democratic partisan advantage would not last. Another thing that would change was the date of the primary. The Florida primary had always been held late in the process and did not much effect the outcome. For 1972, just at the time when primaries began to take a larger role in the nominating process, Florida moved the primary up to March 14. This made it the second primary—One week after New Hampshire. The primary has kept an early date ever since. However, by 1976 things had changed for the better. (Putting aside the national regression of Reagan 80’s and beyond.) Jimmy Carter beat Governor Wallace 35% 31% in Florida. This marked a New South and a switch in control of the Democratic Party. In the legendary Ronald Reagan–Gerald Ford (photo of Ford below) race of 1976, President Ford won Florida 53-47%. The “Reagan South” would arrive a few years later. Governor Reagan beat the first George Bush 56-30 in the 1980 primary. After 1980, the Florida primary became part of the Super Tuesday and large Southern regional primaries and did little to alter the outcome of the nominating races. Gary Hart beat Walter Mondale in 1984–Though that did Mr. Hart little good. 2000 was the first time there were more Republican voters in a Florida Presidential primary than Democratic voters. Though Republicans had been doing quite well in Florida long before this point. John Kerry was the easy 2004 Florida Democratic winner. The Republicans did not bother with a primary in an uncontested race. Below is a Florida Scrub Jay. This bird is found only in Florida. Texas Liberal is going to be your leading source for political history blogging in 2008. Please click here for a history of the South Carolina primary. Please click here for a variety of political history posts on this blog. Above is a picture of the newly discovered exploding self-destructing palm tree from Madagascar. “It’s spectacular,” said Mijoro Rakotoarinivo of the Royal Botanical Gardens in Madagascar. 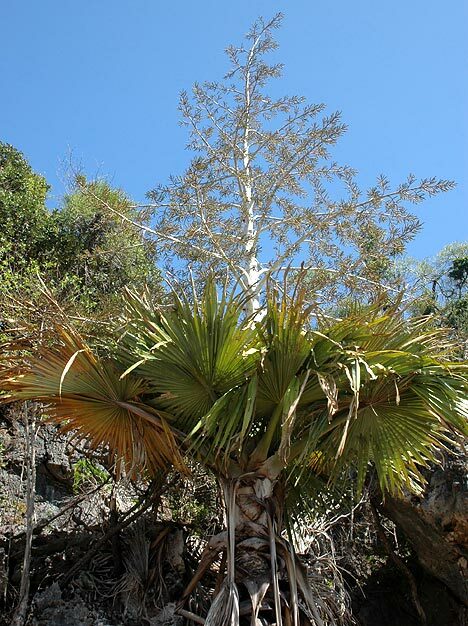 “It does not flower for maybe 100 years and can be mistaken for other types of palm. But then a large shoot grows out of the top and starts to spread, a bit like a Christmas tree.” Those branches then become covered in hundreds of tiny white flowers that ooze with nectar, attracting insects and birds. Here is a link to The International Palm Society. Here is a link on the evolution of palm trees from The Palm Society of Florida. Here is the palm in Christian symbolism from the Catholic Encyclopedia. Here is information of the severe problem of tropical deforestation from NASA. The Malagasy are thought to be descendants of Africans and Indonesians who settled on the island more than 2,000 years ago. Malagasy pay a lot of attention to their dead and spend much effort on ancestral tombs, which are opened from time to time so the remains can be carried in procession, before being rewrapped in fresh shrouds. After sometimes harsh French colonial rule, which included the bloody suppression of an uprising in 1947, Madagascar gained independence in 1960. The military seized power in the early 1970s with the aim of achieving a socialist paradise. This did not materialise. The economy went into decline and by 1982 the authorities were forced to adopt a structural adjustment programme imposed by the International Monetary Fund. 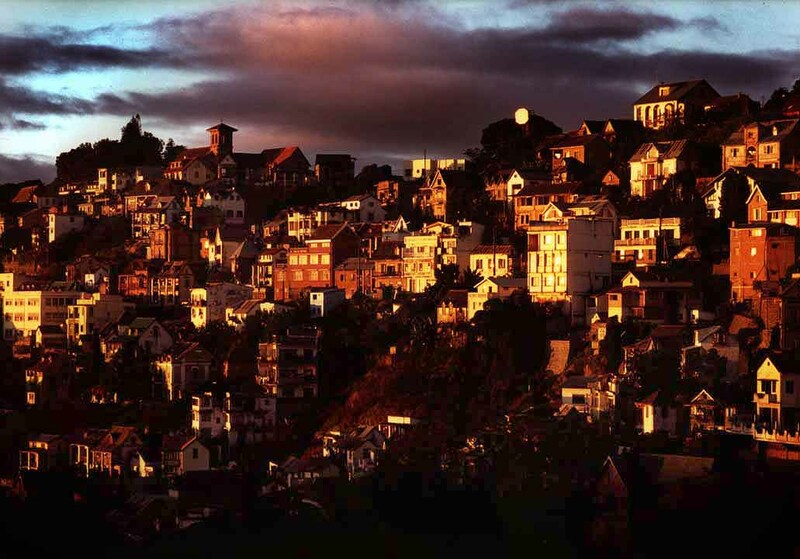 The World Bank has estimated that 70% of Malagasy live on less than $1 per day. Poverty and the competition for agricultural land have put pressure on the island’s dwindling forests, home to much of Madagascar’s unique wildlife and key to its emerging tourist industry. The island has strong ties with France as well as economic and cultural links with French-speaking West Africa. Here is Madagascar information from the great folks at Global Voices.